Let's read Spanish - ¿Dónde está Toto? / Where's Toto? Jenny wants to take her new puppy, Toto, to the circus but Toto isn't willing to sit still and watch the show. Jenny is hunting high and low when suddenly there's a whooosh and the circus cannon goes off... Where's Toto now?! Find out in this exciting story - in Spanish and English! The Let's Read Spanish series is a series of bilingual Spanish-English story books for children who are independent readers. Children will enjoy exploring their 'new' language with original, exciting and varied stories. The parallel text, pictures and speech bubbles provide a child-friendly bridge to reading - and speaking - in another language. A quiz page at the end helps check understanding. Illustrated in full colour. 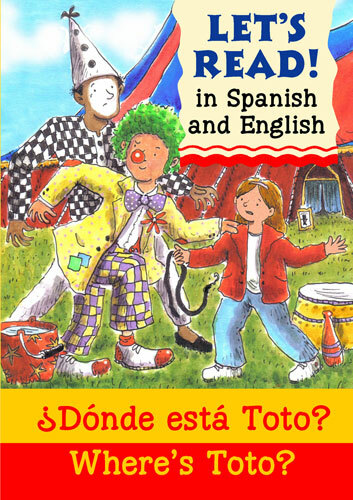 The dual-language text in this book is aimed at children who are already independent readers in Spanish and / or English. A detailed parents' guide and simple-to-use pronunciation guide are included, together with a key-word bilingual picture dictionary.